Vermont Occupational Safety and Health Administration has released a pre-citation settlement agreement regarding the September 2015 death of Trooper Kyle Young. According to the report, VOSHA found two violations that did not contribute to Young’s death. If the Department of Public Safety provides the Department of Labor with a draft comprehensive safety plan by July 1, it will not be cited for the trooper’s death. Young, 28, collapsed while trying out for the Vermont State Police Tactical Services Unit at the Ethan Allen Firing Range in Jericho on September 17, 2015. He was pronounced dead at the UVM Medical Center. His cause of death was exertional heatstroke. The temperature the day of his death was approximately 82 degrees. “It was like military gear,” said Denise Alosa, describing what Young was wearing when he collapsed. Denise Alosa and Dr. Suzanne Elliott consulted with VOSHA on the investigation into his death. They are both medical coordinators for the Vermont City Marathon. The marathon has seen 26 cases of exertional heatstroke. Everybody has survived. “Because we were trained and had seen it…we reached out to them and they reached out to us,” said Alosa. Her takeaway from what happened to Kyle Young: the need for training. “If you haven’t been trained to recognize it early, many people get it confused with other things,” said Alosa. One VOSHA violation was due to a lack of a written respiratory program. It was an ancillary finding, and “not associated directly with the investigation into Kyle Young’s death,” the report reads. Another violation was regarding first aid. While trained first aid responders were on site, “given the nature of the physical activity, the industry standard requires that ice packs or other cooling devices be available,” according to the report. “The big thing with exertional heatstroke, the big kind of tag line is ‘cool first. Transport second’,” said Alosa. While VOSHA does not attribute either of these violations to Young’s death, it is requiring the Department of Public Safety to provide a draft safety plan by July 1 to avoid citations. That department began reevaluating its procedures soon after Young’s death. “This is a process. It’s not an event so it’s still moving forward,” said Public Safety Commissioner Keith Flynn in an interview late last week. State Police have recommended training in heat stroke and heat-related injuries, a hydration schedule and wet bulb globe temperature monitoring to monitor the climate before and during physical tests. “We’ve just entered into a contract with the Korey Stringer Institute so We’re going to have some of the top experts in the country really take a look at our programs so that we make sure we have good programs in place,” said Commissioner Flynn. The Department of Labor declined a request for an interview. (Reuters Health) – A few key policy changes can reduce sudden deaths during middle school and high school sports activities, according to a best practices statement in the Journal of Athletic training. More than 90 percent of sudden deaths in sport are due to sudden cardiac arrest, exertional heat stroke, head injuries and exertional sickling, the dangerous decrease in blood flow that can occur in athletes who carry the sickle cell trait, the authors write. 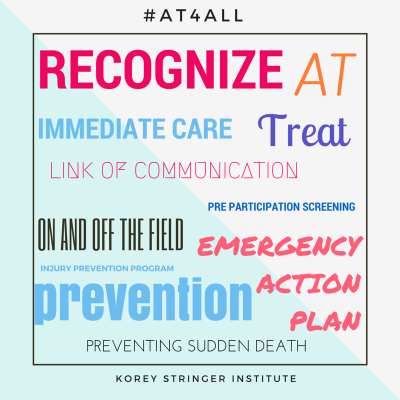 Evidence based safety policies like heat acclimatization, sickle cell trait testing, the “Heads Up Football” program and requiring that automated external defibrillators (AEDs) be available can reduce the risk of all four events. “These efforts are really starting to pay off,” said Dr. Barry P. Boden, a sports medicine specialist at The Orthopaedic Center in Rockville, Maryland, who was not part of the new statement. Heat acclimatization policies mandate that in the hottest months of the year, athletes only gradually return to sports practices and exertion. The Korey Stringer Institute recommends no more than one practice per day in the first five days and no more than three hours of practice per day, with athletes wearing only a helmet, if appropriate, and no other extra equipment on day one and two of practice. All protective equipment can be worn and full contact can begin on day six. In the second week of practice, two-a-day sessions should alternate with one-a-day sessions. For two-a-day practices, the two sessions should be separated by at least three hours in a cool environment. The National Collegiate Athletic Association implemented heat acclimatization guidelines like these in 2003, and since then heatstroke-related deaths have dropped from one or two deaths each August before the policy to only one August death since 2003. The policy saved an estimated 20 lives among college football players, the authors write. “Heat acclimatization costs absolutely no money,” said coauthor Douglas J. Casa, CEO of the Korey Stringer Institute at the University of Connecticut in Storrs. Since 2011, 15 states have adopted similar guidelines for high school athletes. But 35 states still do not have these guidelines, Casa told Reuters Health by phone. “Most states make the changes after they have a tragedy,” he said. “There’s a lot of kickback from coaches because it requires a change in tradition,” Casa said. Between 2000 and 2010, 10 Division I collegiate nontraumatic football deaths were in athletes with the sickle cell trait. After 2010, when the NCAA required all institutions to offer sickle cell trait screening or documentation of prior screening, there was only one death attributed to sickle cell trait. Sudden cardiac arrest, which causes most sudden deaths in youth sports, is largely survivable through immediate recognition, early cardiopulmonary resuscitation and access to an AED, preferably within one minute of collapse, the authors say. Every sport venue should have easy access to an AED, they write. “Nothing has had a greater influence than AED policies,” Casa said. One AED costs about $1,000 and can last 10 years, but it must be placed within easy reach of sports venues, so schools may need more than one device, he said. USA football launched “Heads Up Football” in 2012, which addresses tackling and blocking techniques, equipment fitting, and reducing player contact during practice. The program has reduced all injuries, including concussions. But only Oregon requires Heads Up Football at the high school level. Another 11 states endorse the program. “A policy change that can dramatically improve the safety for youth and high school athletes is to have a certified athletic trainer, if they don’t have one,” said Erik E. Swartz of the University of New Hampshire in Durham, who was not part of the new paper. Many states require that a trainer be present at certain events, but not necessarily all athletic events, Swartz told Reuters Health by phone. “Having somebody there who is trained to recognize and respond when those things happen is the most effective policy change that an organization can make,” he said. 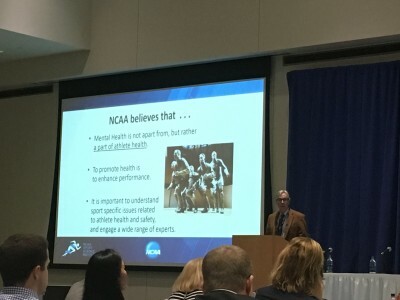 While college level sports can all be regulated by one governing body, the NCAA, policies for public high schools vary by state, and smaller venue sports club and camps can be even harder to standardize, as they have many governing bodies and may be broken down by sport, Casa said. INDIANAPOLIS, March 22, 2016 – In 2015 alone, 50 high school athletes’ lives were lost during sport or physical activity while thousands of others have long-term complications resulting from athletic injuries. The second annual Collaborative Solutions for Safety in Sport press event, hosted by the National Athletic Trainers’ Association (NATA) and American Medical Society for Sports Medicine (AMSSM), addressed these concerns by sharing best practices and encouraging improvement in safety protocols. The event took place at NCAA headquarters. 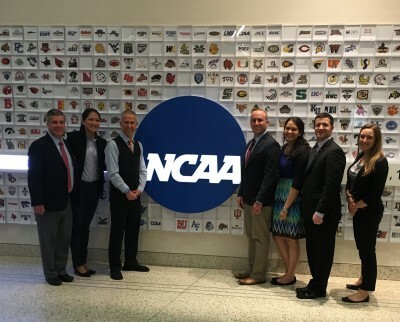 Sports medicine leaders presented new research, recent successes and challenges pertinent to sports health. A new study, “Implementing Health and Safety Policy Changes at the High School Level from a Leadership Perspective,” and an accompanying commentary, “Sport Safety Policy Changes: Saving Lives and Protecting Athletes,” was advanced released and will be published in the April issue of the Journal of Athletic Training. Following the press conference, NATA and AMSSM with the support of Gatorade, Korey Stringer Institute, NCAA, National Federation of State High School Associations and Sanford Health brought together sports medicine and high school sports representatives in secondary school athletics. 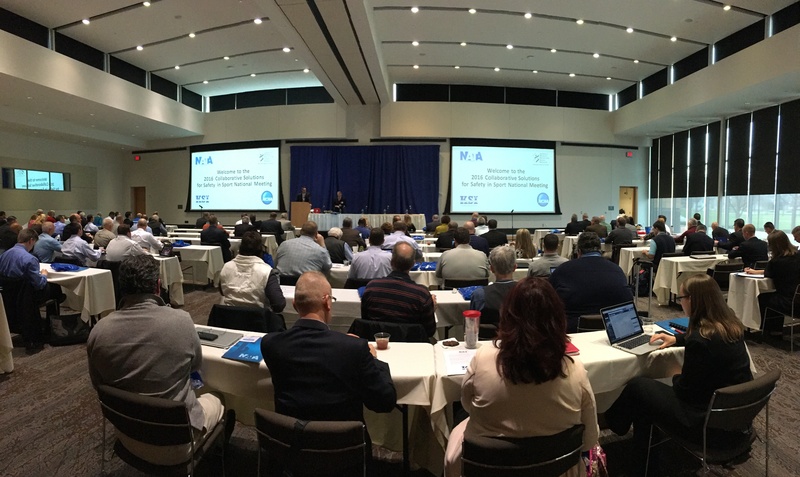 For the second year in a row, representatives from all 50 states attended to discuss safety in youth sports during an intensive two-day meeting. 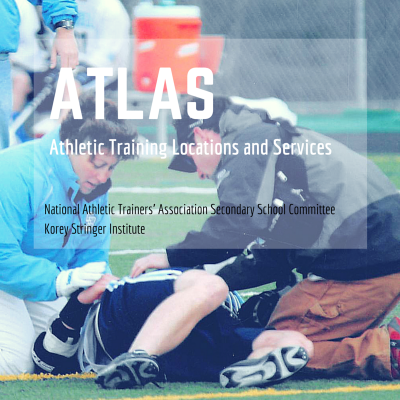 Currently, only 37% of high schools across the country have full-time athletic trainers who play a vital role in keeping young athletes safe. ALEXANDRIA, Va. — Coming into this suburb of Washington, D.C. last Monday night, all the talk was of the NFL’s “admission” before Congress, earlier that day, that a link exists between Chronic Traumatic Encephalopathy (CTE) and football. NFL senior vice president Jeff Miller could just as easily have been Inspector Louis Renault in “Casablanca.” Fans of that movie will recall Renault saying he was “shocked, shocked to find gambling going on” in Rick’s Café at the same moment he was accepting his evening’s winnings. Consequently, Miller’s words – other than exciting the media and some lawyers – will have no lasting effect on football. Whether he said them or not, many youngsters and a few adults will continue to play the game. And hockey, lacrosse, rugby, soccer, and wrestling – some of the other sports to which CTE has also been linked. The goal then should be to make all those sports safer. And not just the collision sports, but others where heart issues, heat illness, and spinal injuries are a risk. 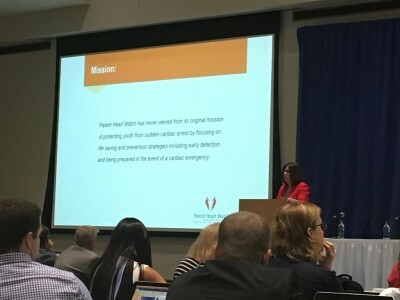 With that as their purpose, the Youth Sports Safety Alliance and the National Athletic Trainers’ Association co-sponsored the seventh annual Youth Sports Safety Summit, here, a week ago. To start the meeting, NATA President Scott Sailor requested a moment of silence for the 48 athletes between the ages of 9 and 17, who passed away while engaged in a sport in 2015. The two sports with the highest number of fatalities were football (15) and basketball (12). However, given total participation numbers, basketball had the higher rate. The cause of death was unknown in 22 of the cases, heart-related in 13, trauma-related in six, and heat-related in four. Perhaps most disturbing about those numbers, though, was they were nearly double those of 2014, when there were 25 sports-related deaths among youngsters. 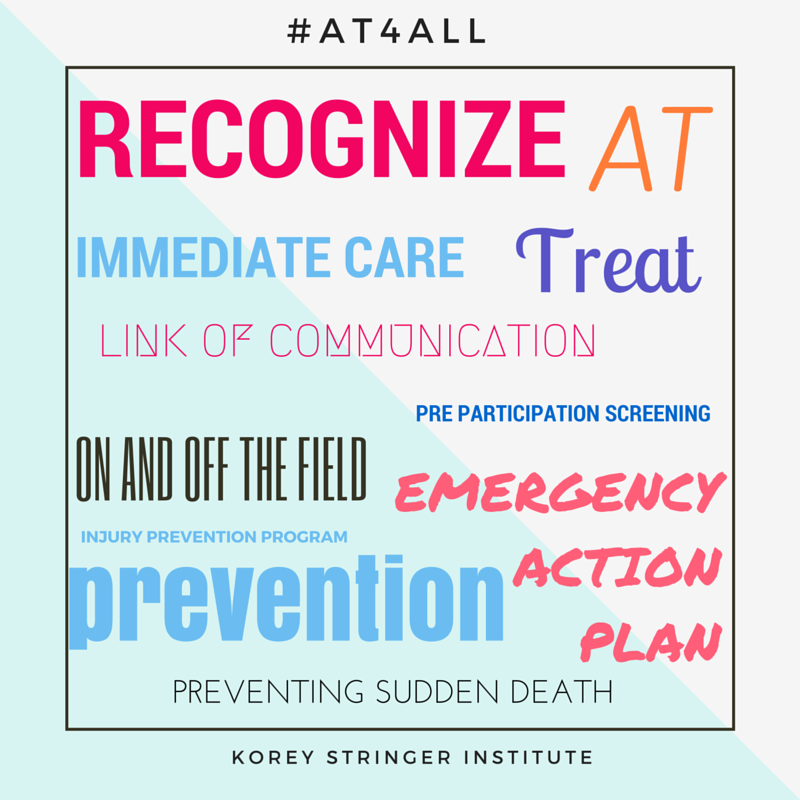 Rebecca Stearns, PhD, ATC, of the Korey Stringer Institute (KSI) took a broader view, advocating a collaborative approach to better prevent serious sports-related medical events, particularly the life threatening. 1. A venue-specific emergency action plan in place. 2. Formulation of a strategic plan for allocation of resources and emergency equipment. 3. A structure to provide safety-related education and training for all levels. 4. Education for everyone: athletes, coaches, parents, officials, and league administrators. 5. An education and training certification reporting system. 6. A reporting structure for non-compliance. Stearns said the program is in legal review by each of the various organizing bodies. She hopes it will be in place by January of next year. When the National Athletic Trainers’ Association and American Medical Society for Sports Medicine met for the second annual Collaborative Solutions for Safety in Sport symposium at NCAA headquarters in Indianapolis, the groups focused on uniform reform of outdated policies in order to curb an epidemic that resulted in 50 high school student-athlete deaths in 2015. The difficulty comes in lobbying all 50 state athletic associations separately and trying to enact meaningful change without a nationwide governing body that can create universal policies, according to two studies to be published in the NATA’s Journal of Athletic Training next month. “I’m certain that there was some grumbling going on about having to change the way we’ve been doing business for some time at football practice,” an anonymous athletic trainer from Georgia said in a study entitled, “Implementing Health and Safety Policy Changes at the High School Level From a Leadership Perspective,” penned by four doctors from the Departments of Kinesiology at Temple University, University of Connecticut and Northern Illinois University working in coordination. Although sudden death from the aforementioned causes is not 100 percent preventable, the implementation of evidence-based safety policies such as emergency planning and access to automated external defibrillators (AEDs), heat acclimatization, instruction on proper tackling techniques (such as the ‘‘Heads Up Football’’ educational program), and sickle cell trait (SCT) screening in targeted populations can dramatically reduce overall risk. American football presents a unique risk profile for head injuries, EHS, and exertional sickling, which have driven many of the policy changes, but best practices for sport safety and emergency planning are relevant across all sports. The first and fourth suggestion require no additional funding, while the second and third seem like no-brainers to build into a school district’s budget. After all, saving one life is well worth the cost of one or several AEDs — roughly between $1,500 and two grand apiece. And it’s hard to believe only 37 percent of high schools nationwide employ a full-time trainer, at least according to the NATA. Considering some schools are spending $60 million on football stadiums, it’s hard to imagine the large majority of school districts can’t pony up to meet these rather elementary safety precautions. Quite honestly, that’s the least every state athletic association should be demanding at this point.